Dr. Steinberg found that the basic principles for effective parenting are simple and universal, and apply to all parents and children regardless of background. He explains each principle and shows how to put it into action, using anecdotes and examples: from “What You Do Matters” (parents make an enormous difference; children are not simply the product of their genes) to “Establish Rules and Limits” (how to provide structure in your child’s life, and how to handle conflicts over rules) and “Help Foster Your Child’s Independence” (help your child think through decisions instead of making them for him or her). 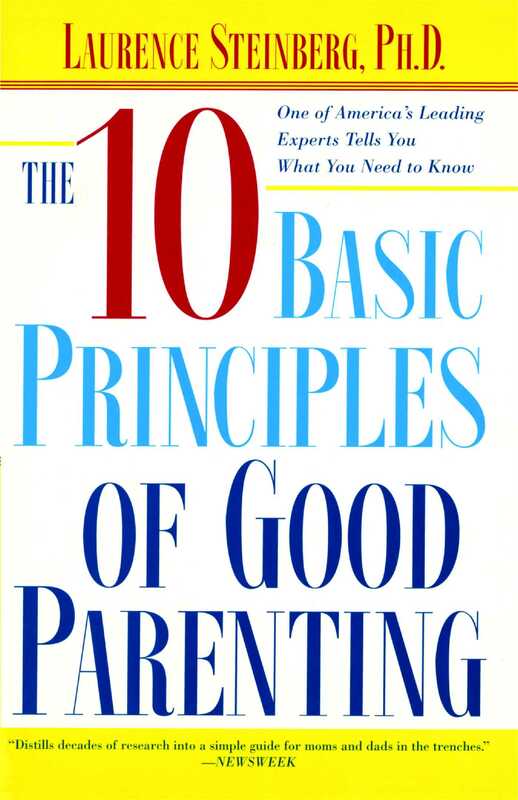 Concise and authoritative, written with warmth and compassion, The Ten Basic Principles of Good Parenting is an intelligent guide to raising a happy, healthy child and to becoming a happier, more confident parent in the process.